Over the past few weeks the White House has asked other news organizations to disregard programing and statements made by Fox News. Why is the administration doing this you ask? It’s simple! With the current struggle to pass a socialized healthcare system and to promote a liberal agenda, the administration seeks to block the conservative perspective to further their efforts for more government control. 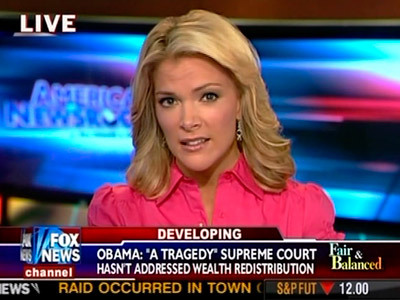 The administration claims that Fox News channel presents the news and issues with a conservative stance. I suppose Keith Olbermann and Rachel Maddow are 100% neutral and unbiased with their news reporting. Otherwise this would not be an issue on valid reporting but an issue on promoting a leftist agenda. For an administration that claims “bipartisan” tactics, the decision to make a public statement about a conservative news station only contrasts their efforts (or lack their of). Boehner Taking Advantage of FOX’s Rejection Of Fact-Based Journalism. Who even wants to read it with an open mind now, besides the far right? Really, John Boehner? This is who you chose to voice your opinion through? In the wake of an administration that nearly destroyed the reputation of the Republican party, it’s pretty ballsy to say that. The only thing that can be referred to in this statement is the amount of money spent in the bills passed since January 20. And yes, it is an incredible amount, and yes, it is unprecedented. But as far as lines being crossed, it is worth looking at what lines were crossed from 2001 to 2008. Vastly increased anti-terrorism operations that caused massive controversy–seemingly for not at times–allowed the Bush administration to cut back important programs to increase military spending and start a war justified by the anger and frustration of the Western world after September 11. Incredibly anti-democratic policies allowed the institution of Guantanamo Bay, whose controversies are well enough known to invite UN leaders to suggest that the US committed war crimes in hosting it. Fortunately this is the U.S., and that probably won’t go anywhere. Radical education policies angered teachers and parents all around the country, and put into place funding that relied on controversial testing techniques, and allowed schools and students to slip through the cracks, all at a time when the United States’ student output is lagging far behind that of India and some other Eastern powers. So these are only a few of the talking points here. This could be an entire post in itself. But what is more important is that all this seems to be forgotten for the attempts of the 111th Congress to revitalize the economy. It’s like the kid that bullies until he gets picked on, and then tries to criticise. It just doesn’t work. Tainting your policies in favor of making the other party look bad will get nothing done. I’ve said it before, but apparently John Boehner doesn’t read my articles in the Pendulum. What is more interesting about all this to me is the implication that Republicans using new media is a radical and great change in the way Americans are informed. Sure, government was a bit behind on that concept. But trying to piggyback off the success of Obama in that light is not only ignorant, but is an insult to the intelligence of the internet community. They know well enough that Republicans aren’t the only ones utilizing blogs and media. So it seems like FOX is more of a forum for right wing media men to make vast statements in lieu of any contradicting argument. It’s a style of op-ed that basically assumes that its audience won’t know enough about an issue to be able to disagree. And while none of it is an outright lie, it is littered with implications that are just not true. O’Reilly and Ann Coutler bank on this all the time. However, politicians should have the pride not to group themselves into such a disputed organization. Overall, the Republican party has done a good job of making its feelings known with regards to spending. And it has been effctive in mediating the bills for the most part. But it is throwing away its credibility with statements that try to demonize an administration that’s been in office for under 100 days. And, most of all, Mr. Boehner, please try to pick a more credible outlet to give your opinions through. Even if a large amount of your constituency watches and lives by the word of Rupert Murdoch, it lends itself right off the bat to dispute.